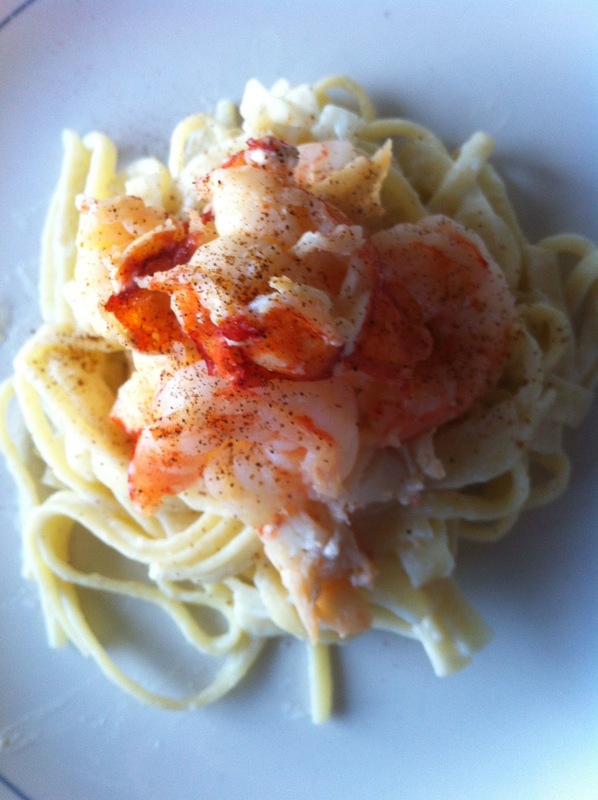 As part of my quest to provide quick and easy lobster recipes, I wanted to share with you the dish my father and I enjoyed tonight – lobster and shrimp fettuccine alfredo. As you can imagine, it was delicious. Better still, the whole meal took only 20 minutes to prepare (given I was using pre-cooked and shelled lobster meat). 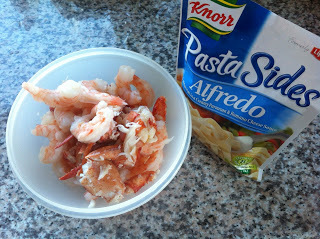 For the recipe, I sauteed a handful of lobster meat (what was left in the fridge) and a bag of (thawed) frozen shrimp in melted butter for 5 minutes. Meanwhile, I prepared a package of Knorr fettuccine alfredo, which I mixed with a bit of left over fettuccine from the night before. Within 20 minutes, the meal was warm and waiting on our dinner plates. I added a dash of cayenne pepper, which always tastes good with lobster, to the top of the dish. If you have time, I’d recommend making your own fettuccine sauce. If you’re rushed for time, the above recipe is a quick and delicious recipe for enjoying lobster!